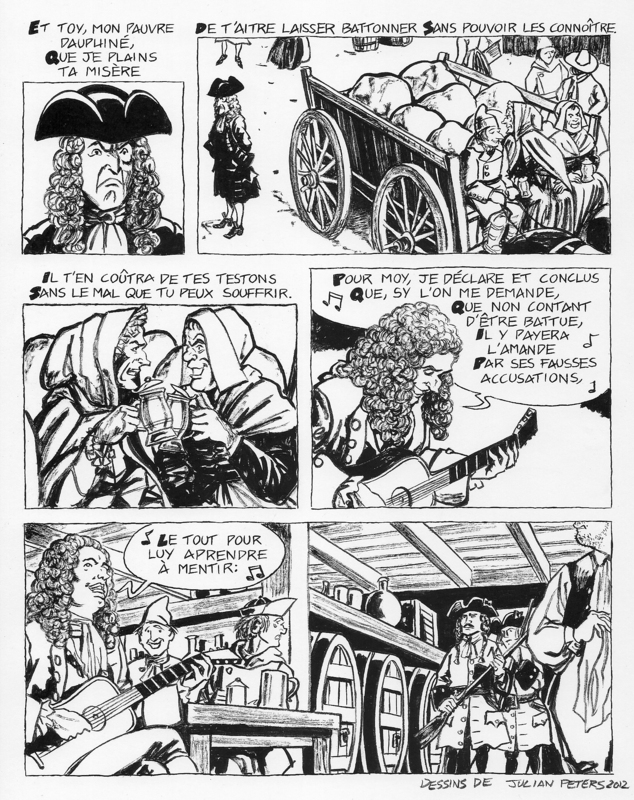 Back in 2012, I created a comic based on the lyrics of a song written in 1709 by the Montreal painter, money forger, and jailbird Jean Berger (1681-?). 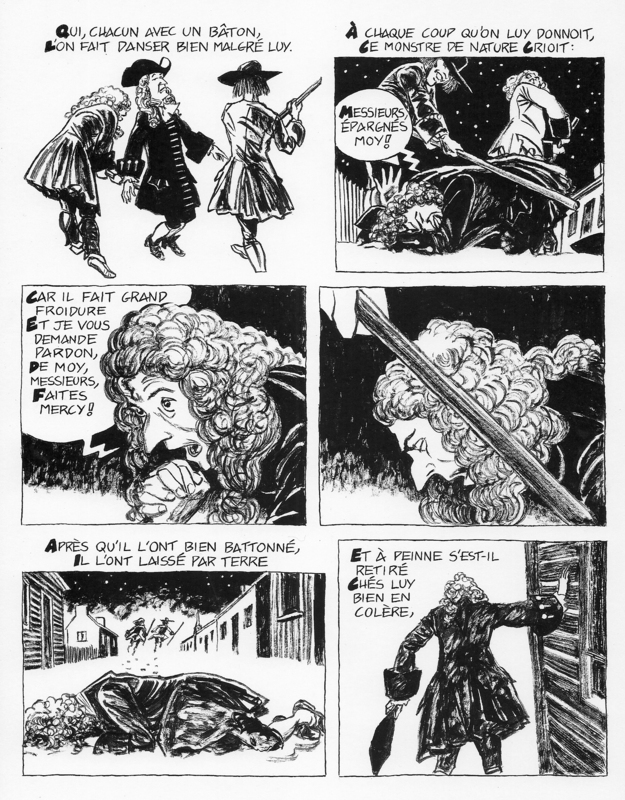 Jean Berger was suspected of being involved in the beating of Saint-Olive, the town apothecary, and of providing the two accused assailants with clubs and disguises. 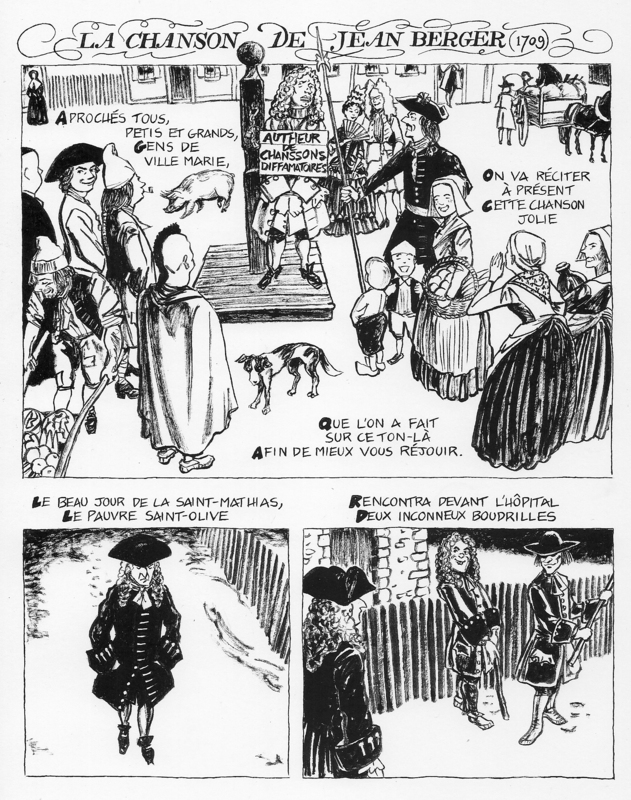 Contrary to what is affirmed in this song, which Berger wrote to mock the judicial authorities for their handling of the case, the two assailants were eventually discovered and put in prison, while Berger was condemned to be pilloried in the town square for the very act of penning the defamatory ditty. However, Berger managed to break out of his jail cell before the sentence could be carried out, and he escaped to the English colonies to the south. As for the two assailants, they also made their escape from the town’s evidently very porous prison, and slipped town in a peasant’s cart while disguised as women. 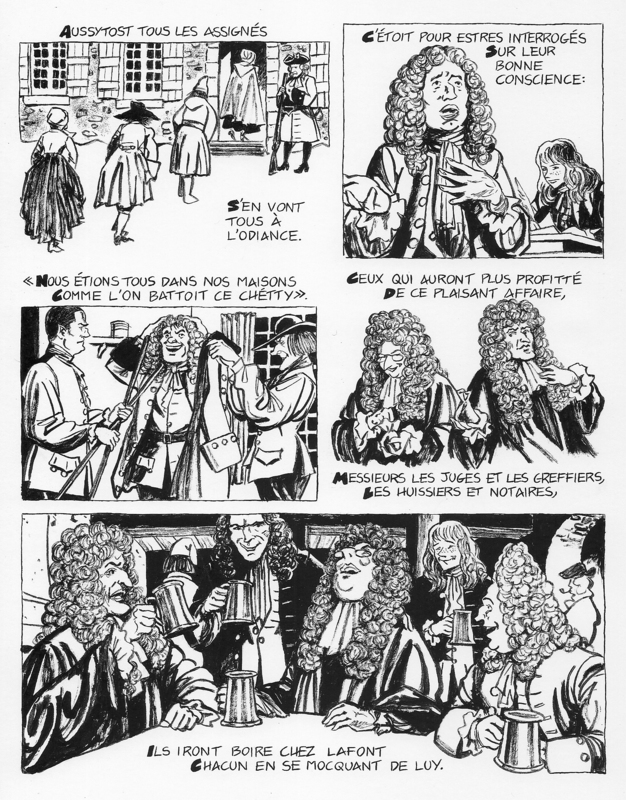 The comic appeared in a show of art inspired by Berger that was held at Concordia University’s FOFA Gallery. It is being republished today in the newsletter of Winning Writers, an online resource for poets and writers, along with my English translation of the poem, which appears below. This translation was made very quickly, and there are a few archaic French words whose meaning I had to take a guess at, but it should at least elucidate the meaning of my illustration for English readers. The better to entertain you. Set him dancing very much in spite of himself. To ensure they be punished. To people who were in their beds. make their way to the hearing. And have a good laugh at his [Saint-Olive’s] expense. Not to mention all the pain you may be suffering. All of which will teach him not to lie. 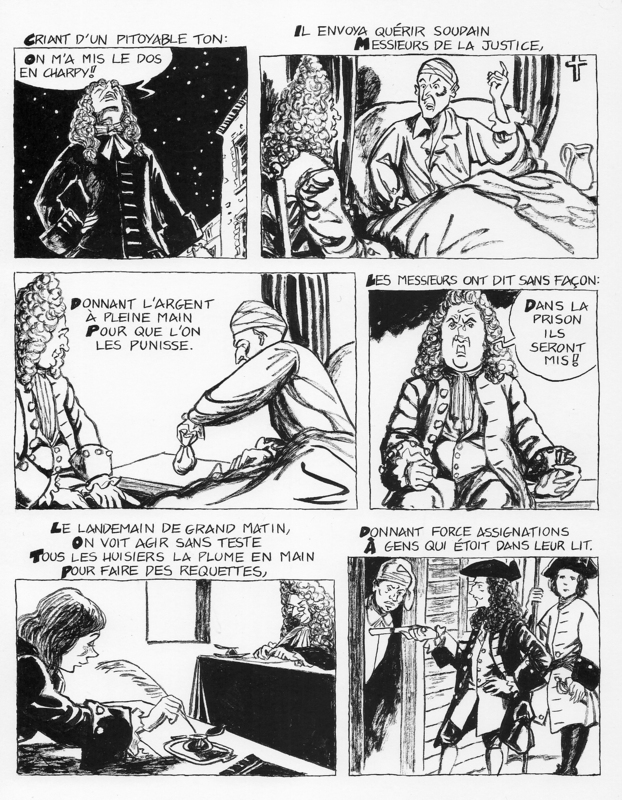 This entry was posted in comics, Jean Berger, montreal, new france, nouvelle france, Poetry translation and tagged concordia, eighteenth-century, fofa gallery, independent, Jean Berger, winning writers. Bookmark the permalink.